You can create as many Folders as you need. Just click on the " Add Folder" button and follow the instructions. If you did not connect a Folder to your Xero or the Folder has been disconnected, it is easy to connect it to Xero. You can connect the Folder from the My Folders Dashboard by clicking "Connect folder" and subsequently by clicking 'Connect to Xero'. 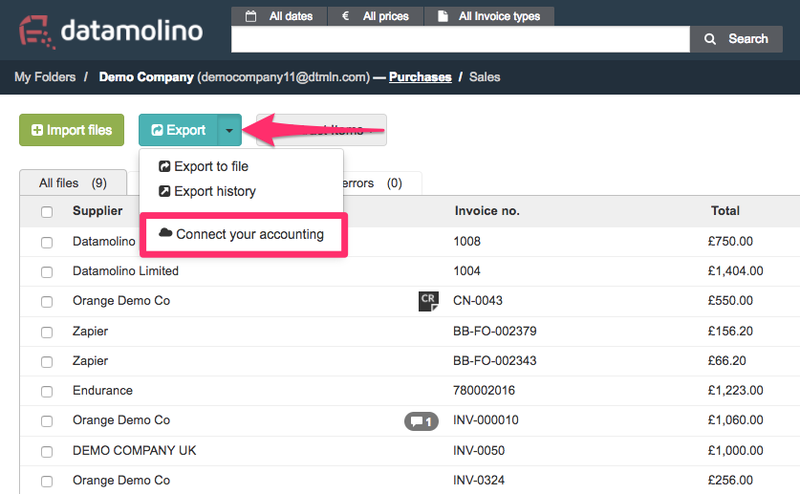 You can also connect the Folder while you browse it, by clicking the down arrow of the Export button and choosing "Connect your accounting". If you are creating a new Xero connection, you will be automatically redirected to the Xero homepage, where you may need to provide your login credentials. After the login, you will need to authorise the Datamolino application. After the authorisation, you will be redirected back to Datamolino and can start exporting documents. 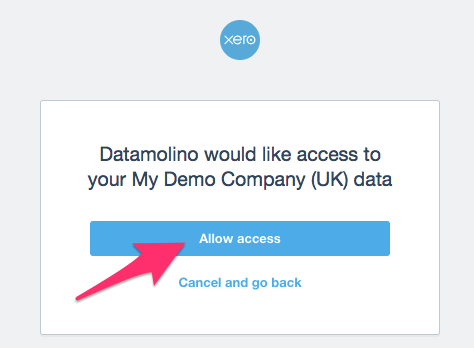 Each folder in Datamolino can be connected to an organisation in Xero. You can also connect multiple folders to the same Xero organisation. Usually, one folder should be used for one company. For larger companies, you can have one folder for each company location or each department, depending on your workflow. Xero allows you to manage multiple companies as Xero organisations, the folder in Datamolino is an equivalent to that. If you want to connect one folder or multiple folders to the same Xero organisation, just follow the above mentioned steps: 'Connect Folder' -> 'Connect to Xero'.